On today’s episode, Paco and George discuss the early days of LA’s punk rock scene with tech podcaster/writer/founder Peter Rojas. We discuss the influence of college radio to the cult of personality around Darby Crash and pre-YouTube digging for clues to the origins of punk. The Decline Movies were a Rosetta stone for many a suburban teen looking for alternatives of expression. Often referred to as a Rock ‘n Roll anthropologist, Penelope Spheeris worked as a waitress at Denny’s and IHOP to put herself through film school. A holder of a UCLA Master of Fine Arts degree in Theater Arts, she worked as a film editor and a cinematographer before forming her own company in 1974. She produced, directed, and edited videos for major bands through the Seventies and Eighties, concluding her music video work with the Grammy nominated, Bohemian Rhapsody video for WAYNE’S WORLD. Spheeris’ feature film debut was the 1979 documentary on the Los Angeles punk scene, THE DECLINE OF WESTERN CIVILIZATION which received stunning and unanimous critical praise. The LAPD shut down Hollywood Boulevard and Chief of Police, Daryl Gates wrote a letter demanding the film not be shown again in L.A. Still fascinated with the subject of punk rock, she wrote and directed SURBURBIA, her first narrative film in 1983. It is a disturbing and somewhat prophetic story of rebellious, homeless kids squatting in abandoned houses, trying to make new families, and protecting one another. SUBURBIA won first place at the Chicago Film Festival. Almost 25 years later her documentary, THE DECLINE OF WESTERN CIVILIZATION, PART III would eerily mirror the events she scripted in SUBURBIA. All three DECLINE movies plus a disc of extra footage were released as a DVD box set by Shout Factory! in 2015. 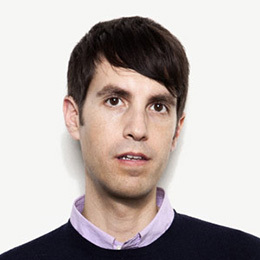 Peter Rojas created a few different sites, including Gizmodo (now part of Gawker Media), Engadget (now part of AOL), Joystiq (now part of AOL), RCRD LBL (joint venture with Downtown Music), and gdgt (now part of AOL). After all that he was VP of Strategy at AOL & Co-Director of AOL Alpha, the company’s experimental product group. He also hosts the MVP podcast with Ryan Block. 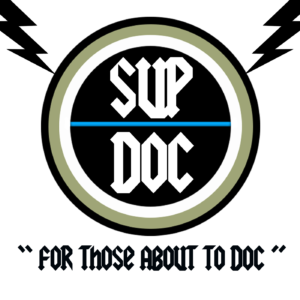 ← Ep 31 Sup Doc 1 Year Anniversary Show!